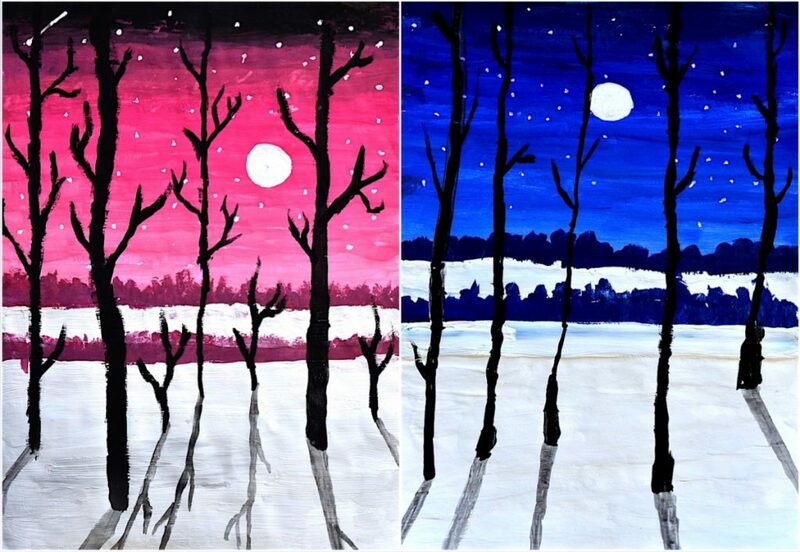 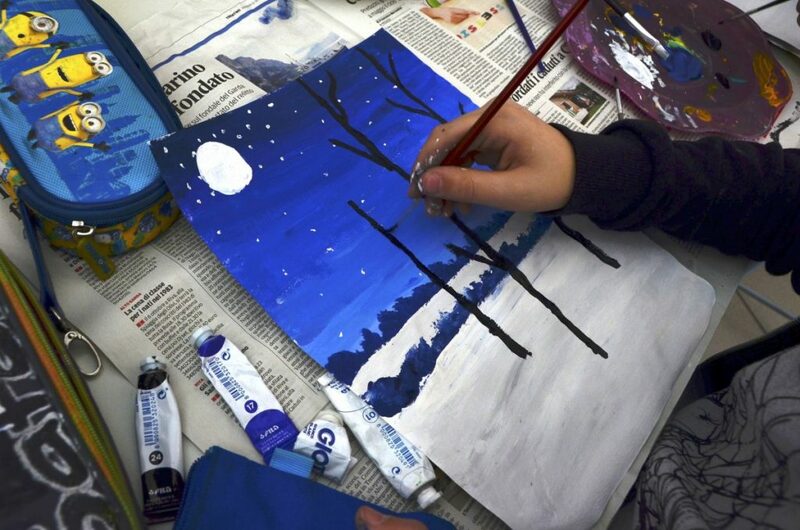 This romantic nocturnal landscape created by 7th grade students, has been painted with tempera paint with a final touch in watercolor. 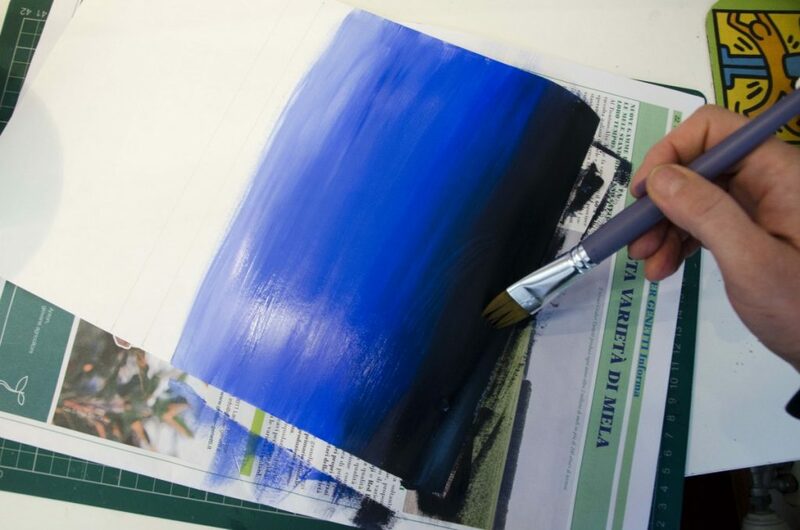 Despite the sophisticated final result the process is very simple, all you need is to follow the instructions step by step. 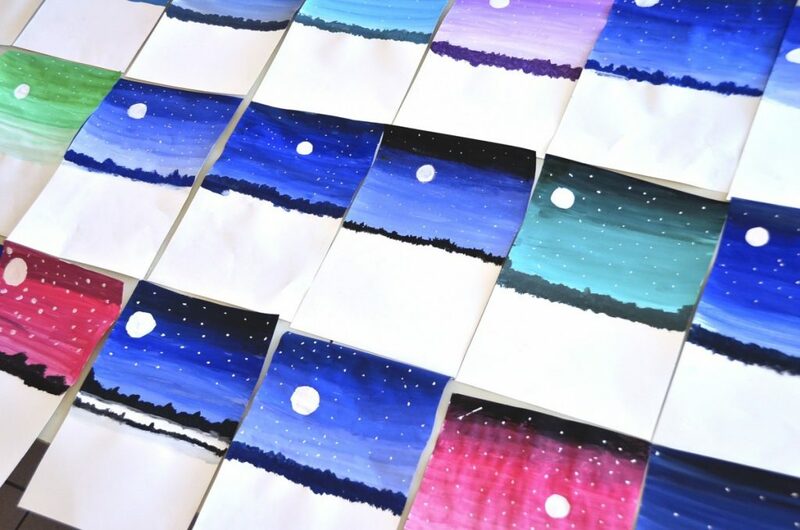 First you choose a cool color (green, purple or blue) and create a value scale, starting from the lighter color and shading it toward the darker color. 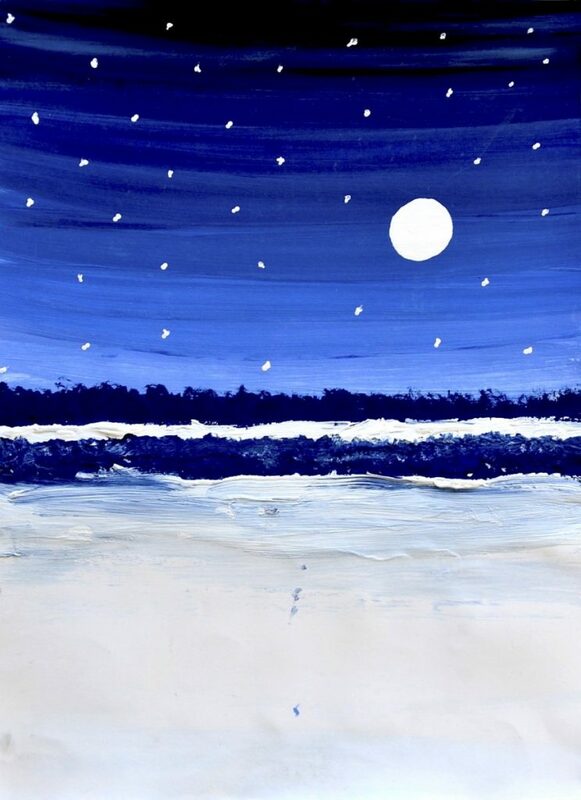 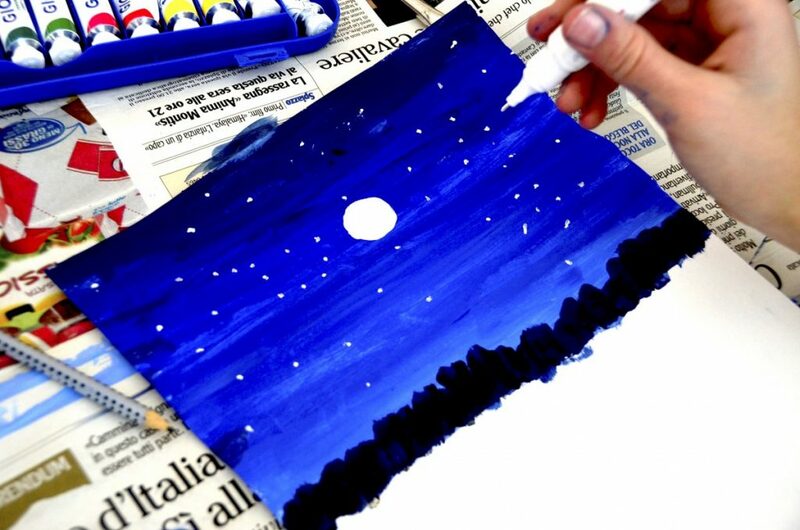 When the color is dry you paint the moon and some little stars with white paint. 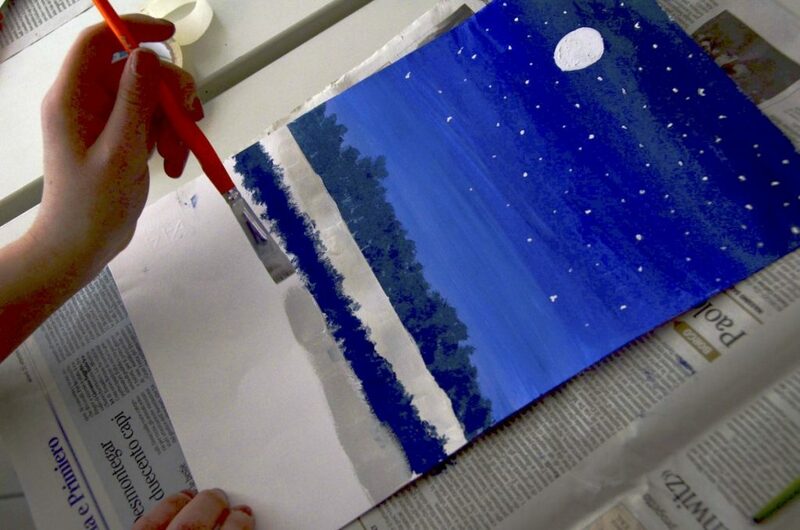 After that you paint the forest along the horizon, using the darkest tone of the sky. 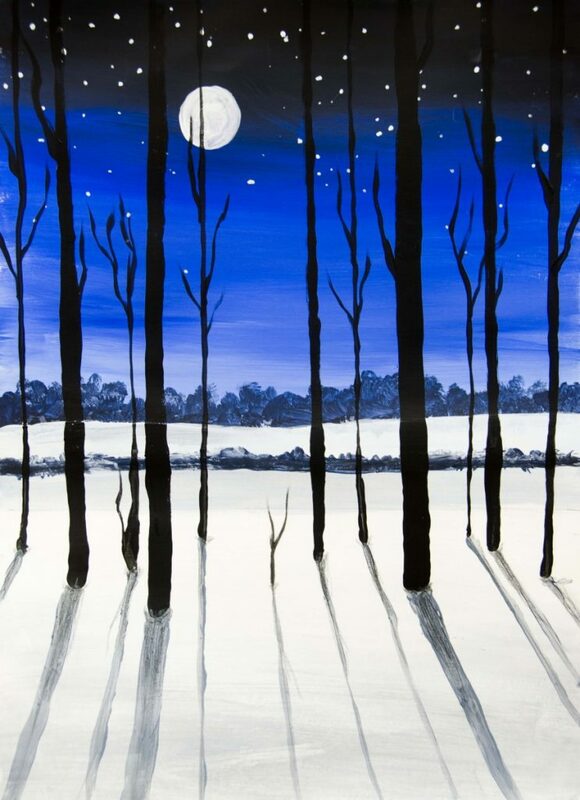 The snow in the foreground is painted with a light grey. 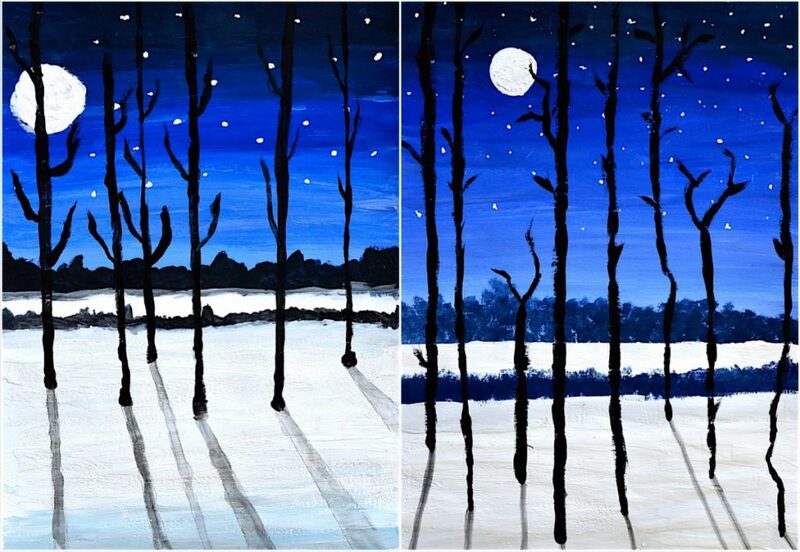 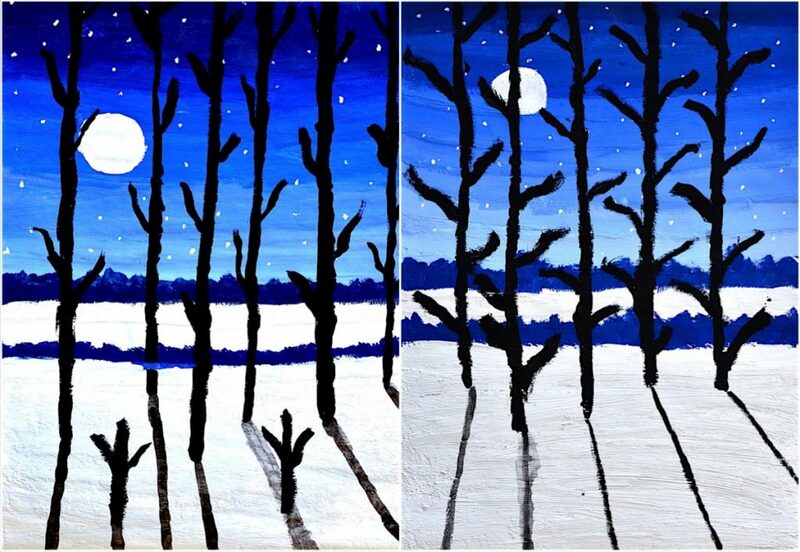 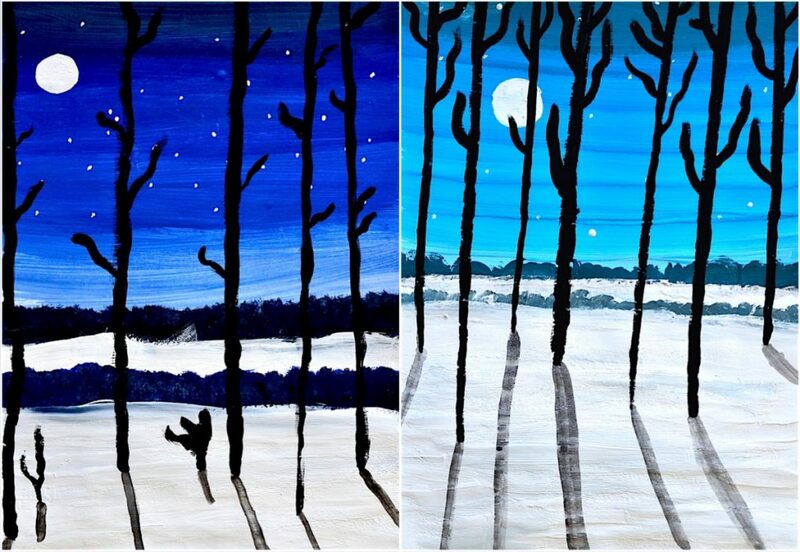 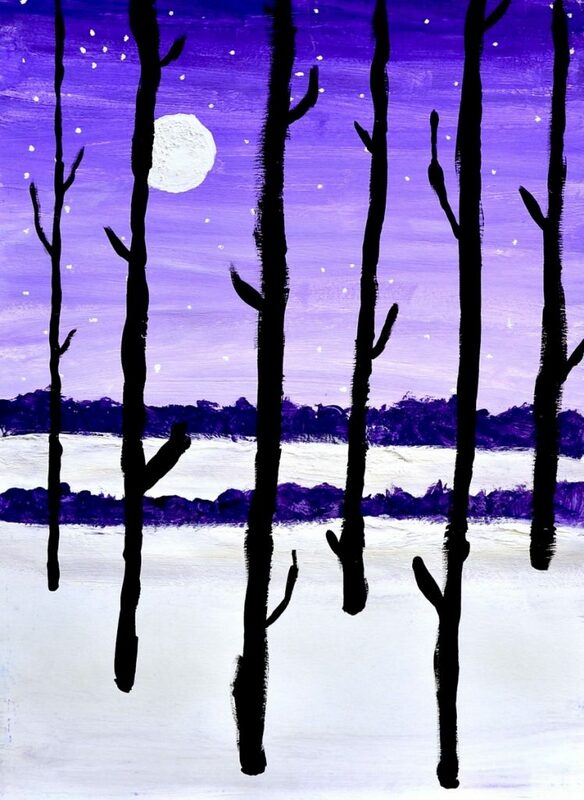 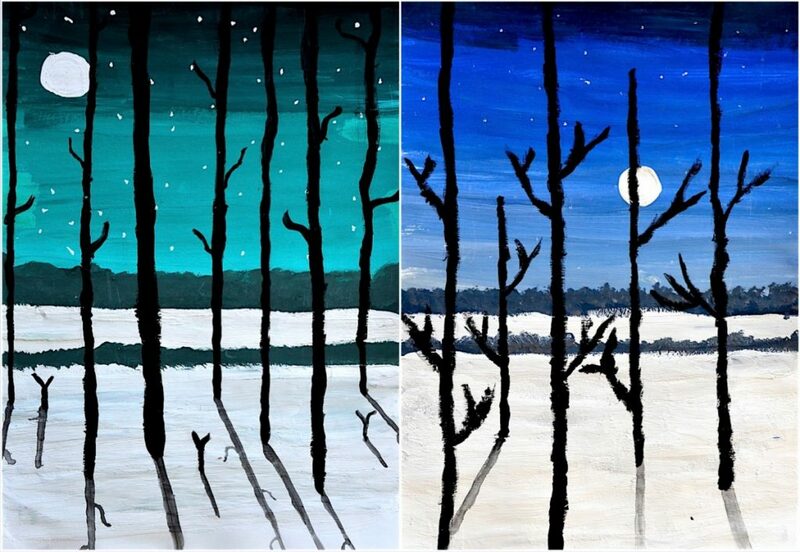 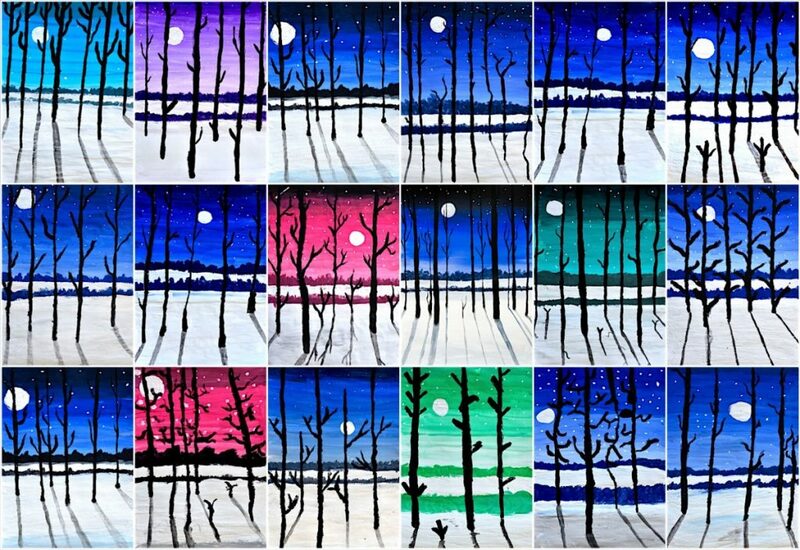 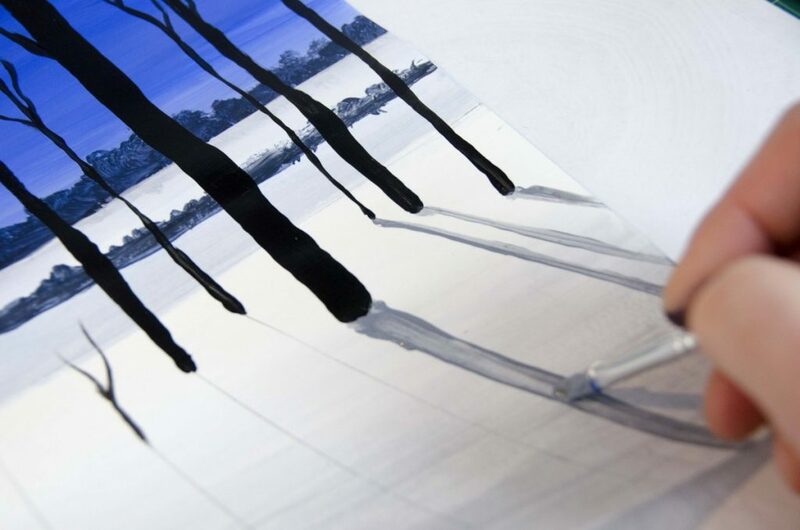 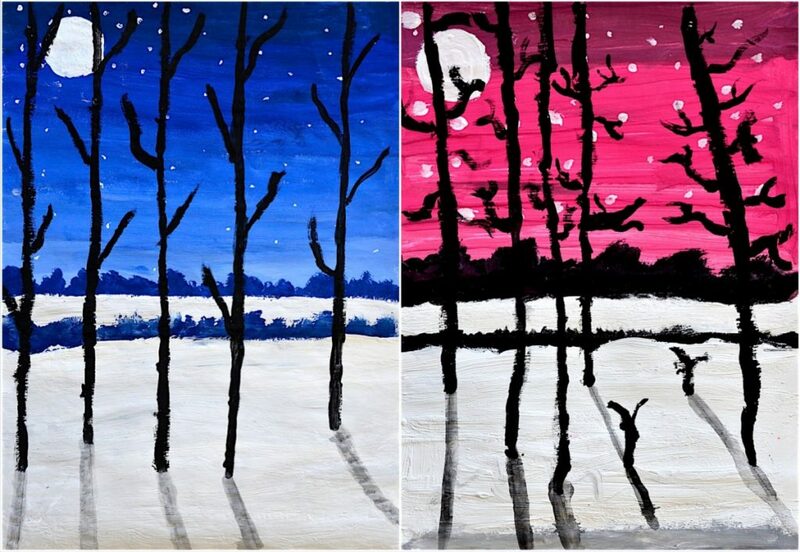 Subsequently you paint the the trees’ silhouettes with a thin paintbrush and black paint. 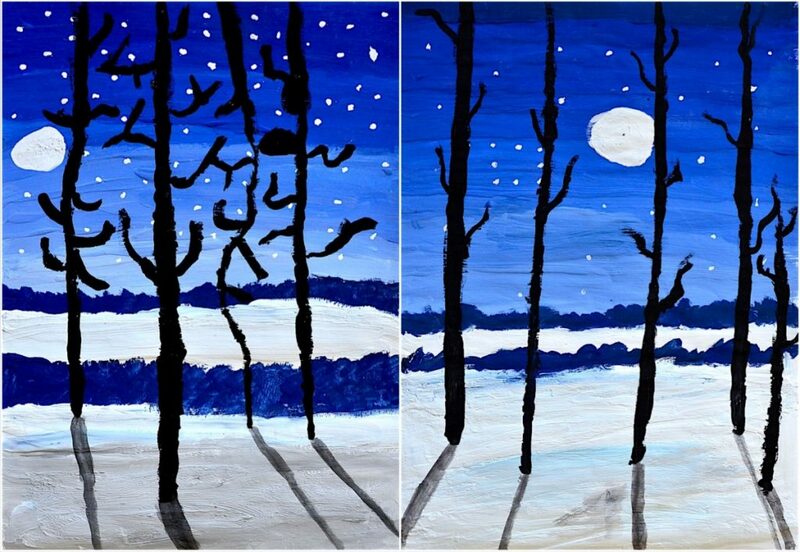 Finally you draw the direction of the shadows drawing lines with pencil from the moon, the light source, to the base of every tree. 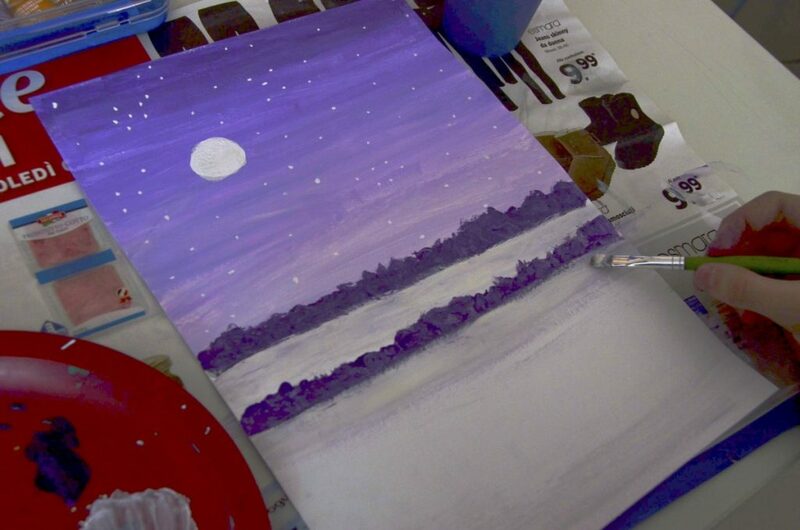 Along this line you paint a light and transparent tone of grey with watercolors and the silent, nocturnal landscape is finished. 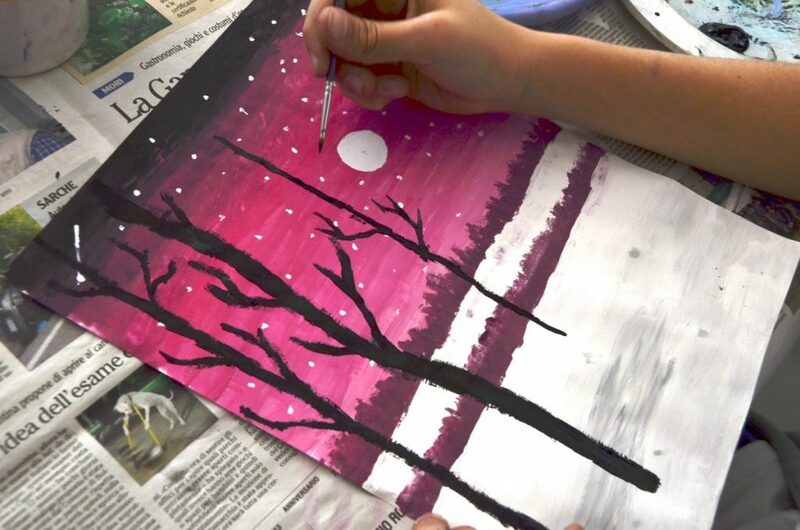 Here below an useful video tutorial created by Chad Brown for his YouTube channel theartproject.com . 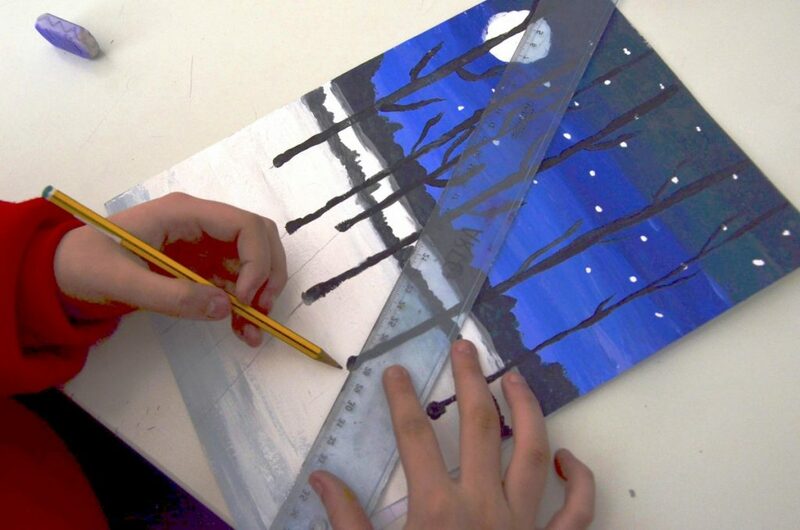 I invite you to visit it and watch this and the other interesting art projects he proposes in his videos.